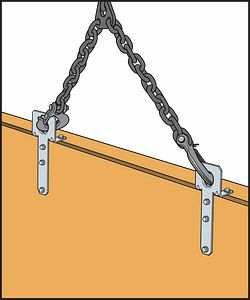 The CHC component hoist clip provides a tested, load-rated solution for the safe lifting and placement of assembled wood components. The CHC is load rated with Strong-Drive® SDS Heavy-Duty Connector screws for easy installation and removal, and superior shear and withdrawal strength during lifting. 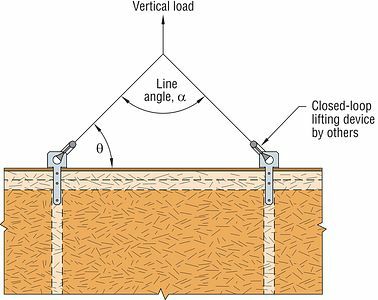 Allowable loads are based on the lowest ultimate test load of three test specimens, or the average of six specimens, divided by five. 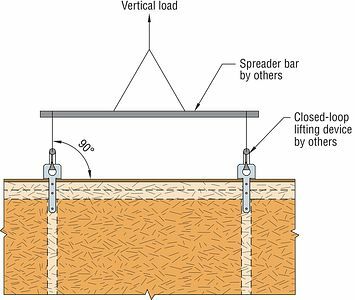 Allowable loads are based on installation over sheathing on stud walls with double 2x top plates and maximum 5/8" sheathing. Fasteners require full penetration into the framing members. All lifting devices and spreader bars that are used in conjuction with the CHC shall be of sufficient strength to carry the required load. Spreader bars must also have sufficient rigidity to resist bending of the lifted component. CHC No evaluation report listing.